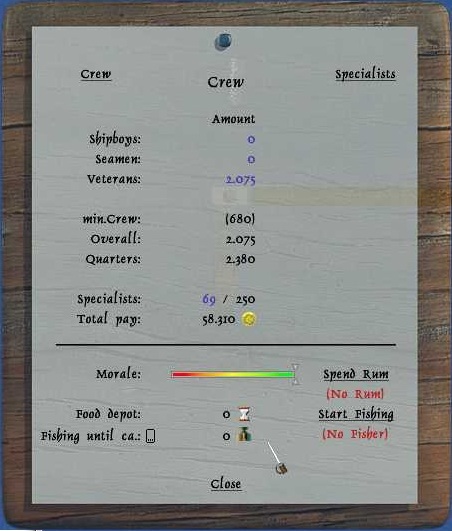 and how much overall crew you got compared to how many quarters you have. 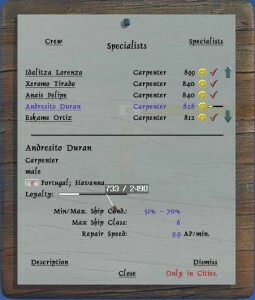 You can also see how many specialists you can have compared to how many you max can have. And how much gold you have to pay them per wop day. At the bottom you got your moral that you can boost with rum if you have any. Also you can see how much food you got with you. At fishing until ca. 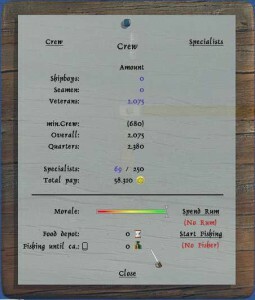 is where you set your fisherman to how many food, you want to keep on your fleet at all time. but if they got a bar next to them they are on their way to become loyal. 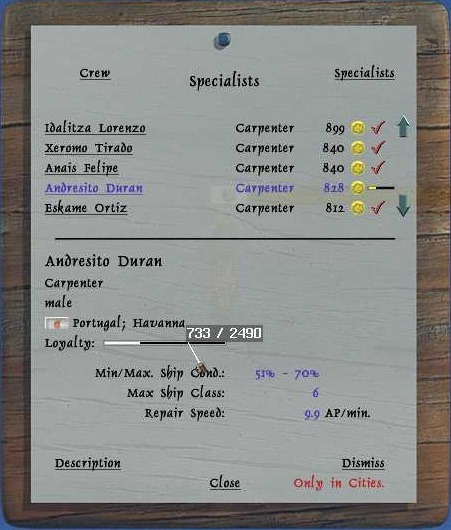 By clicking on a spec you get a detailed description of the spec at the bottom. Here you can check the loyalty points missing by holding the curser over the line. You can learn more about spec here.